When discussing these options with the as-eager-food-lovers at TJ’s, all of decided both had to be tested. For the ‘chos, I wanted to start out simple – nothing but cheese! 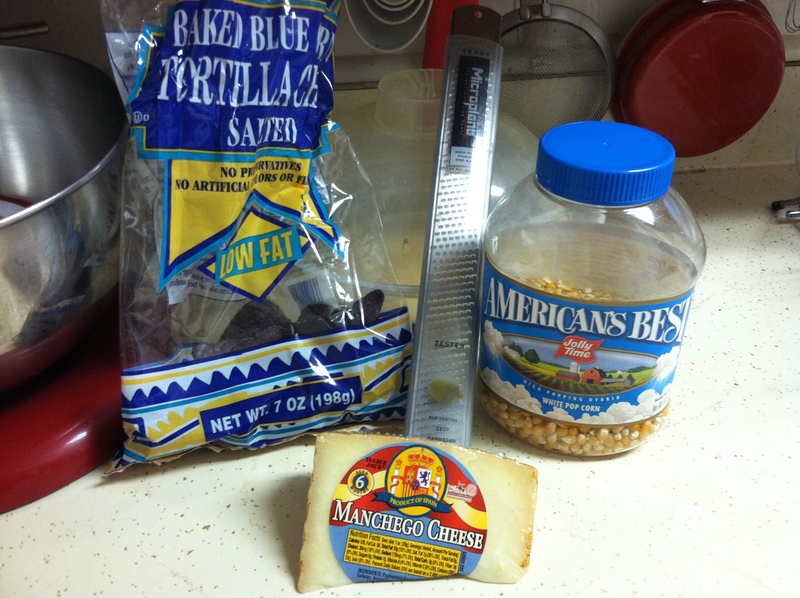 I used the blue corn tortilla chips as they nicely contrast the color of the Manchego and used the microplane grater/zester to finely grate the cheese to adorn the chips with the lactose-free treasure. Since I was making a small bit, I just threw the chips in the toaster oven — perfect for small bits of nachos! 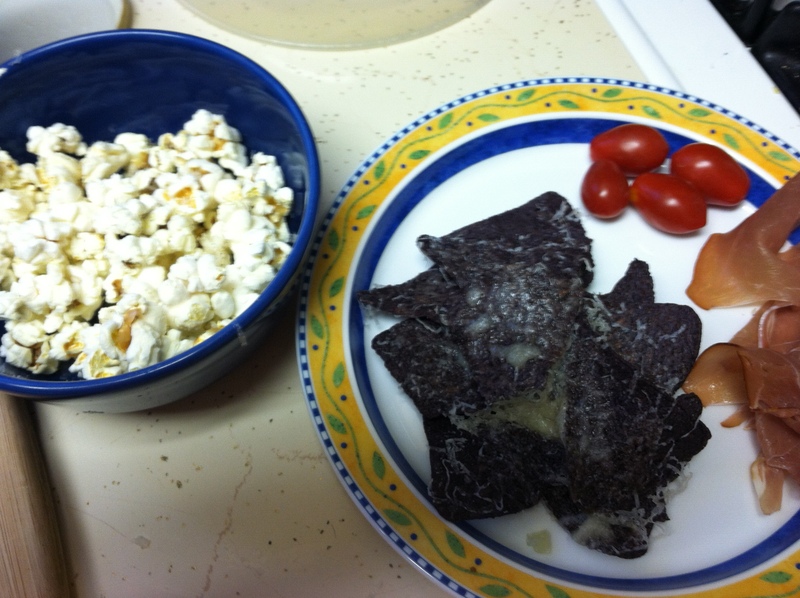 For the popcorn, I used my microwave popper and when done, tossed the popcorn with more finely grated cheese, S&P. To complement these, I served them with some prosciutto and grape tomatoes. Ok, a picture doesn’t do it that much justice. They were pretty good. The cheese doesn’t look as pretty as expected, but it was a unique taste. The prosciutto would taste very nice under the melted cheese!! For the popcorn, the cheese melted just a bit and it was a nice addition. I would give this 7.5 out of 10 stars, especially for a first try. With 2.5 to go until perfection, that definitely means more testing is in order! Darn.